WHAT IS THE MAGIC ONLINE CHAMPIONSHIP SERIES? Monthly and Playoff Events also award top finishers MOCS Leaderboard Points. Players of sufficient standing on the MOCS Leaderboard will also qualify for the Magic Online Championship. In addition to the normal prizes for some queues, Leagues, and scheduled events, top players in those events can earn Qualifier Points. QPs will vary by event, but some common examples are listed in the table below. Full details of an event's prize structure can be found within the Magic Online client by click the View Prizes button in the Event Details window for a given event. Details are also listed on event description information pages and announcement articles on MTGO.com. Wizards of the Coast reserves the right to add or remove qualifying formats, alter events that award Qualifier Points, and/or adjust the number of QPs offered by any event with a minimum of 24 hours' notice. Qualifier Points for the 2018 Magic Online Championship Series may be earned from after the 8 a.m. PT on October 18, 2017, downtime up to the final MOCS Monthly event of the 2018 season. Note: Not all tournaments award Qualifier Points. MOCS Monthly, Playoff, and Open events begin at 7:00 a.m. PT, regardless of format. Saturday, May 5 Playoff Modern Magic Online Championship, Pro Tour "Spaghetti", PT Challenge at Pro Tour "Spaghetti"
Sunday, December 16 Open Guilds of Ravnica Sealed Magic Online Championship, Pro Tour "Milk" (site & date TBA), Pro Tour Challenge at Pro Tour "Milk"
Saturday, December 22 Playoff Standard Magic Online Championship, Pro Tour "Milk" (site & date TBA), Pro Tour Challenge at Pro Tour "Milk"
Saturday, December 29 Open Guilds of Ravnica Sealed Magic Online Championship, Pro Tour "Milk" (site & date TBA), Pro Tour Challenge at Pro Tour "Milk"
The date for the 2018 Magic Online Championship will be added to the schedule later. Platinum, Gold, and Hall of Fame pros will be granted 35 Qualifier Points once each month. Silver pros who are not members of the Hall of Fame will receive 15 Qualifier Points once each month. Note that each Monthly Event requires 35 Qualifier Points to join. These Qualifier Points can be combined across grants as well as with Qualifier Points earned in other Magic Online events to join Monthly Events. Pro Club QP grants will be awarded on the third Wednesday of each month. Whenever a player joins the Pro Club or changes levels, the Pro Club benefit will take effect on the next scheduled award date. Monthly Events and Playoff Events include MOCS Leaderboard Points as prizes. These are not physical objects tracked in your collection, but can instead be viewed on the Wizards of the Coast website at MTGO.com/leaderboard. The MOCS Leaderboard will include all MOCS Leaderboard Points awarded in all Monthly and Playoff events in the 2018 Magic Online Championship Series. The Leaderboard will be updated no later than the Wednesday following a Monthly or Playoff event and will be used to determine qualifications for the Magic Online Championship. By signing up for a Monthly or Playoff event, players agree that Wizards of the Coast may post their real names in association with Magic Online usernames on the MOCS Leaderboard. Product: A Constructed-legal deck for Constructed events. Magic Online will provide phantom product for Limited Events. Note: Limited events use Phantom product that will not be added to a player's collection at the end of the event. The only players qualified for MOCS Playoff events are players who finished with six or more wins in a MOCS Monthly event that has occurred since the previous MOCS Playoff event. Duration: A number of Swiss rounds based on attendance, each round up to 50 minutes, followed by a cut to Top 8. For MOCS Playoff events held between the paper prerelease and Magic Online Prerelease dates of a new set, the full-set prizes from that event will be awarded on the new set’s online release day. The Pro Tour the top two players are invited to can be found in the schedule above. The Pro Tour Challenge invitation is for the Pro Tour Challenge held at that same Pro Tour. MOCS Open events do not require an invitation or Qualifier Points to join. Note: MOCS Open events are not phantom. Players in these events will have their cards added to their collections. Future sets will be for the next Standard-legal expansion released on Magic Online after the Playoff event. Wizards of the Coast will grant the sets on the day that expansion becomes available for sale in the Magic Online store. The Pro Tour the winner is invited to is listed in the schedule above. The Pro Tour Challenge invitation is for the Pro Tour Challenge held at that same Pro Tour. The defending Magic Online Champion, any player finishing in first or second place in a previous MOCS Playoff event, and any player finishing in first place in a previous MOCS Open are ineligible to participate in a MOCS Open as they already hold invitations to the Magic Online Championship. The top players in the MOCS Leaderboard will fill remaining slots until 24 invitations have been issued. Players receiving invitations in this way will also receive an invite to the first Pro Tour London, and the Pro Tour Challenge event at that Pro Tour. After 24 invitations have been issued, if a player holds multiple invitations, becomes ineligible, or is otherwise unable to attend the Magic Online Championship, then players will continue to be invited to the Magic Online Championship from the top of the MOCS Leaderboard until 24 unique players have been invited. Players invited in this way will not receive invites to a Pro Tour or Pro Tour Challenge. Most Qualifier Points earned during 2018 season. The winner of the Magic Online Championship becomes the Magic Online Champion and receives Platinum status in the Pro Player Club (as if that player had reached the minimum number of Professional Points at the Magic Online Championship to be promoted to Platinum level). You must have a signed waiver and consent form to compete in the Magic Online Championship. You may download the required forms; they will also be available onsite. Minors must have a parent or guardian's signature on these forms. Minors will not be able to register or play unless we receive a waiver signed by a parent or guardian. No exceptions will be made. To register, all participants must present one of the following forms of identification. Determination of the eligibility of a person under age eighteen to participate in the Magic Online Championship is based on the permission granted to said person by his/her parent or legal guardian. For all Monthly Events and Playoff Events in the 2018 Magic Online Championship Series, it is the player's responsibility to verify that they met the entry requirements and join the event prior to its start time. If a player believes he or she should be qualified and is unable to join an event, they will need to contact customer service prior to the start of the event. For assistance during an event, players can contact a Digital Event Coordinator (DEC) in the #MOCS chat room. All players must adhere to the Bribery, Splitting and Collusion policy rules expanded upon here in order to have their Magic Online account in good standing, ensuring their ability to participate in these events. Due to the nature of computers and the Internet, Wizards of the Coast is not responsible for the results of any disconnection or network problems experienced by players. 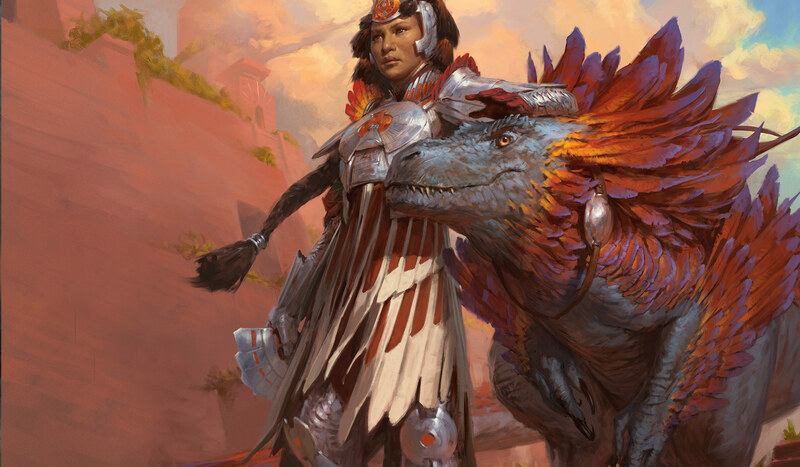 For more information on stability and connection issues in Magic Online Premier Play, refer to the Guidelines for PTQ Finals and MOCS Finals article. Players who qualify for the Magic Online Championship, Pro Tour, and/or Pro Tour Challenge will be contacted by Wizards of the Coast via email to verify their identity and confirm the invitation within one week of the invitation being earned. If you win such an invite and have not heard from Wizards of the Coast after one week has passed, please email premierplay@wizards.com. Important information regarding system errors and event issues during all Magic Online events: Wizards of the Coast reserves the right to modify, reschedule, and/or delete any tournament for any reason, including without limitation, if in its sole judgment, that tournament's integrity has been compromised by an unforeseen technical issue and/or error in that tournament's administration. The Magic Online Pro Tour Challenge is an additional tournament held during the Pro Tour especially for Magic Online players invited via a Pro Tour Qualifier on Magic Online or the Magic Online Championship Series. This in-person event is held in the same location as the Pro Tour. The Pro Tour Challenge changes to a single four-round Swiss event. Once a player qualifies for the Pro Tour through a Magic Online Championship Series Playoff or Open Event, or a Magic Online PTQ, s/he is no longer eligible to participate in either face-to-face or Magic Online PTQ Events that lead to the same Pro Tour. You must have a signed waiver and consent form to compete in the Pro Tour Challenge. You may download the required forms; they will also be available onsite. Minors must have a parent or guardian's signature on these forms. Minors will not be able to register or play unless we receive a waiver signed by a parent or guardian. No exceptions will be made. Determination of the eligibility of a person under age eighteen to participate in the 2018 Magic Online Championship Series is based on the permission granted to said person by his/her parent or legal guardian. All prizes are awarded "as is" and without warranty of any kind, express or implied, (including, without limitation, any implied warranty of merchantability or fitness for a particular purpose). This is a contest of skill and, therefore, there are no odds of winning as is the case with a game of chance. All applicable taxes, fees, duties, tariffs, passport or visa costs, and any license, destination, entry, exit and/or delivery charges are the sole responsibility of each player. Taxes on the prizes (including, without limitation, income taxes), if any, are the sole responsibility of the player winners. All Magic Online players who meet the eligibility requirements set forth herein are eligible to compete in this online tournament series. All Magic Online players are eligible to compete in the 2018 Magic Online Championship Series except (a) players who are otherwise ineligible to engage in tournament play pursuant to the Magic Online User Agreement and (b) employees or contractors of Wizards of the Coast LLC ("Wizards"), Hasbro, Inc. ("Hasbro"), or each of their respective subsidiaries or affiliates or their advertising or promotion agencies, or those who are domiciled with any such person, or those who have been disqualified for other reasons (see below). This is a skill-based tournament based on a player's ability to defeat other players. Players may be disqualified if they are suspended from Magic Online for any reason, including without limitation, a violation of the Magic Online User Agreement. Although players may have multiple accounts qualified for a Monthly Event or a Playoff Event, players are not permitted to have more than one of their accounts entered in any single event at one time. Players are not permitted to have any accounts entered in events played by other players for any reason. If a player is discovered to have more than one account playing in a Monthly Event, Playoff Event, or Open Event before, during, or after the event, Wizards may take action against that player's account(s), up to and including disqualification with no refund of product and/or event tickets, suspension of the offending account(s), and/or termination of the offending account(s). Using an account other than your own, allowing any other player to use your account, selling your account, and other similar actions are all violations of the Magic Online User Agreement. If you play in Magic Online tournaments, win, and expect to get your prize, be very, very sure you are playing on your own account. We do not recognize excuses, such as "I and a friend jointly own the account," "It's my brother's account but he gave it to me," or similar. The only exception is an adult may authorize a single dependent child age thirteen to eighteen to play on an account that the adult has established. Wizards of the Coast reserves the right to reschedule and/or restart tournaments, matches, extend timers and/or games as needed. Such decisions will be announced on the Magic Online website and/or within the Magic Online client as needed. All Magic Online players must be at least thirteen years of age or older. A championship player between the ages of thirteen and eighteen will be required to get a parent or guardian's signature on the required waiver and consent forms as explained above. Players must have Internet access. Players must have access to a personal computer. Players must be Magic Online account holders in good standing and in compliance with the Magic Online User Agreement. Release: By entering (or consenting to the entry of a person under the age of 18) the 2018 Magic Online Championship Series, each participant (or the participant's parent or legal guardian, if the participant is under the age of 18) and the winner (or the winner's parent or legal guardian, if winner is under the age of 18) thereby releases Wizards, Hasbro, and each of their respective parent companies, subsidiaries, affiliates, directors, officers, employees, and agencies from any liability whatsoever, and waive any and all causes of action, related to any claims, costs, injuries, losses, or damages of any kind arising out of or in connection with the 2018 Magic Online Championship Series or delivery, misdelivery, acceptance, possession, use of or inability to use any prize (including, without limitation to, claims, costs, injuries, losses, and damages related to personal injuries, death, damage to or destruction of property, rights of publicity or privacy, defamation or portrayal in a false light, whether intentional or unintentional), whether under a theory of contract, tort (including negligence), warranty, or other theory. Except where prohibited, you agree that any and all disputes, claims, and causes of action arising out of or connected with this contest or any prize awarded shall be resolved under the laws of the State of Washington, without respect to any conflict of law issues, and participants agree that such shall be resolved properly, without resort to any form of class action, and exclusively by the U.S. Federal and State Courts of King County, Washington, USA. All of Sponsor's decisions regarding the application and interpretation of the Rules are final. Wizards, Hasbro, and each of their respective parent companies, subsidiaries, affiliates, directors, officers, professional advisors, employees, and agencies will not be responsible for: (a) any late, lost, misrouted, garbled, distorted, or damaged transmissions or entries; (b) telephone, electronic, hardware, software, network, Internet, or other computer- or communications-related malfunctions or failures; (c) any event disruptions, losses, or damages caused by events beyond the control of Sponsors; or (d) any printing or typographical errors in any materials associated with the 2018 Magic Online Championship Series. Participation in 2018 Magic Online Championship Series is void where restricted, taxed, or prohibited by law. The winners of this tournament will be posted on http://www.wizards.com.